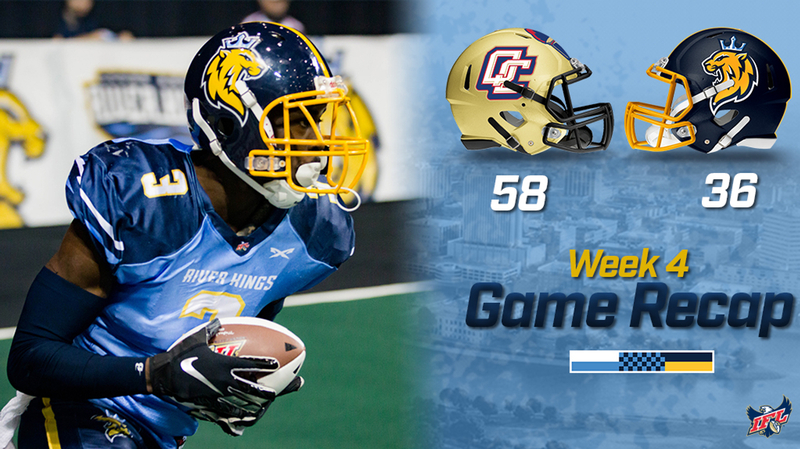 Cedar Rapids, IA - The Quad City Steamwheelers defeated the Cedar Rapids River Kings 58-36 on Friday night. The River Kings fall to 1-3 on the year and the Steamwheelers moved to 2-1. The River Kings struggled offensively throughout the game, only earning 168 total yards. Just in the second half, the Steamwheelers outscored the River Kings 20-10. Offensively the River Kings had a total of 60 rushing yards, with Kalif Phillips leading the team with 32 yards. Nathan Chavious had 15 rushing yards. Quartback Kurt Palandach had 104 passing yards and Ben Wilkerson had 12. 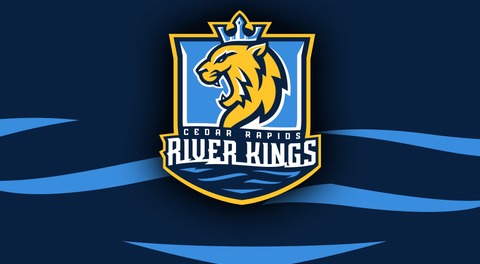 Marquel Wade and Cedar Rapids’ own Demetrius Harper had touchdowns in the second half and Kicker Henry Nell added 4 points for the River Kings in the second half. Defensively, Malik Slater had 8 tackles and Ricky Johnson had 7. In the first half, the River Kings offensive started strong, answering each Steamwheeler’s touchdown. Quarterback, Kurt Palandech threw a total of 55 yards and had 9 rushing yards. Wide Receiver, Marquel Wade found the end zone on two separate occasions to score a pair of touchdowns while Kicker Henry Nell scored 7 points for the River Kings. On the defensive side for the River Kings, Kelvin Jenkins and Ricky Johnson each made 4 tackles, holding the Steamwheelers to a total of 53 passing yards. The River King’s will be back in action on their home turf Saturday, March 30 at the US Cellular Center against the Iowa Barnstormers of Des Moines. Kickoff is at 7:05 p.m. Tickets can be purchased at goriverkings.com or the US Cellular box office. The Steamwheelers are at Sioux Falls this coming Friday night.